Good luck moving! I don't know how you are handling it alone, but you are fantastic like that! As a person who has moved twice in the past 3 months, I can understand the feelings of wanting to fastforward…even just a month. I'm finally there and it does feel great. Still boxes that haven't been unpacked, but at least I'm here. Good luck and remember, it will eventually be over. Thanks for the cute ideas! Now if I can find the box with the cute supplies to make these projects…. These are three fantastic ideas! I think we may try all of them! My husband travels also…I don't think I could tackle moving without him! My heart goes out to you! I will send prayers of strength your way! 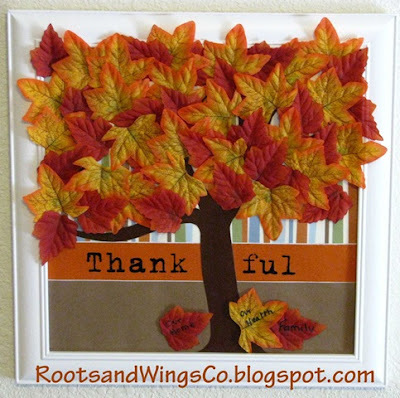 Thanks for sharing Katrina's thankful tree! It really is so cute! 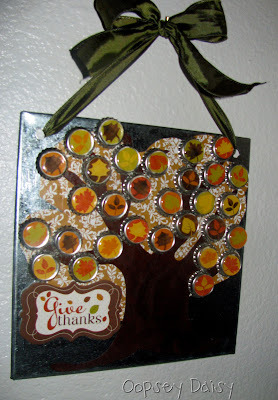 I love Thanksgiving, so thanks for all the other fun ideas, too! I LOVE your gratitude tree advent. I plan to make one, as it will be good for my kids to think about all they have to be thankful for before the "I wants" of the Christmas season set in. My family is also preparing to move, so I can totally relate to how you feel!